Cooperanthus This interesting species should be grown more often for the large Zephyranthus-like flowers it produces. Flowers in early autumn to produce 7cm long, miniature amaryllis-like blooms of light pink colour. 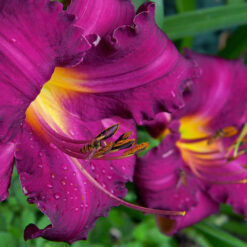 Flowering size bulbs 7cm up circumference offered. Cooperanthus They like full sunlight. 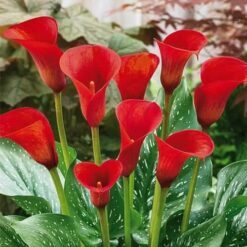 Place about 10 bulbs to a 15 cm pot to give good effect. 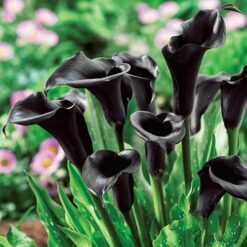 Plant 1.5 cm deep in well drained compost of sand and garden soil in equal parts. Water sparingly till shoots develop. Likes plenty of light. Find a location where the soil drains well. If there are still water puddles 5-6 hours af soil, choose another spot. Rain lilies bloom in response to late season rains but will not thrive in soggy soil. Site your Cooperanthus where they’ll receive full sun. Dig holes and plant the bulbs 2” deep and 3”-4” apart. In soft soils, these little bulbs can often be dropped into a hole made with your finger or the end of a stick. Poke, drop, cover, next. 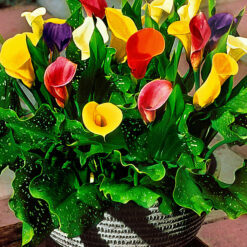 Plant the bulbs immediately as rain lilies resent being out of the ground for long periods. After planting, water well, gently soaking the soil and settling it around the bulbs. Foliage will begin to appear in a few weeks and flowers are produced in late summer. 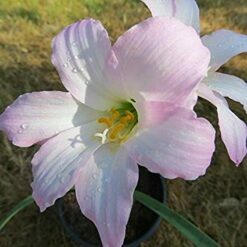 Rain lilies are happiest with little moisture during spring and summer, with a bit more water late in the season to trigger flowering. About .5″ of total moisture per week is a good general estimate early on and 1″ per week is usually enough to produce flowers late in the summer. After blooming has finished for the season leave the foliage in place; don’t cut it off. The leaves will gather sunlight, create food through photosynthesis and strengthen the bulbs for the future. 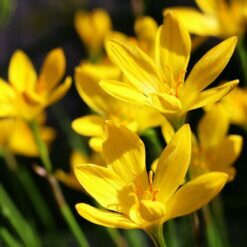 In the fall rain lily leaves typically yellow and die back as the plant slips into dormancy. Foliage many be removed at this point. Your Cooperanthus plants will rest for a while before beginning the next growing cycle in spring. late in the season and produce slender, grass-like foliage prior to that. 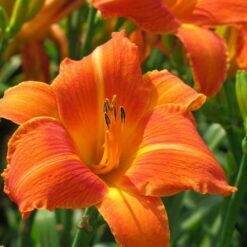 These bulbs perform best with little water from winter through mid summer. 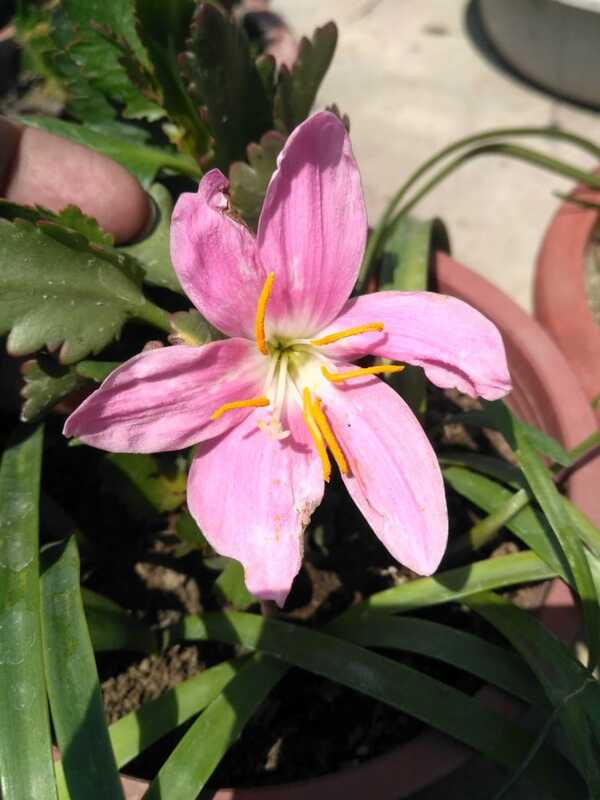 For these reasons rain lilies are challenging to partner in containers with early season bloomers that typically need more moisture during their flowering periods. 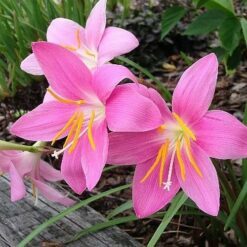 We recommend planting rain lilies in garden settings where other low water plants can command center stage early to mid season. 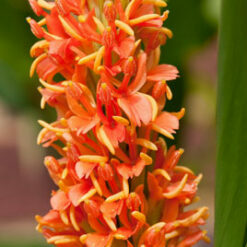 Suitable partners include amaryllis, watsonia, crocosmia, kniphofia and scadoxus.